Ken is a partner in Campbell Law Solutions. A native of Oak Ridge, Tennessee, he attended Vanderbilt University on a basketball scholarship and received a B.A. in 1968. After college, he was a math teacher and basketball coach for two years at Townsend High School in Blount County. He received a J.D. from Vanderbilt University School of Law in 1972. He received a M.B.A. from Belmont University in 1990 and then served for ten years as an adjunct professor of business law in the M.B.A. program. 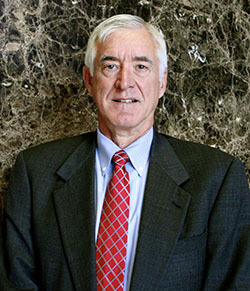 Ken has been engaged in the practice of law for 41 years. In his practice, he primarily assists businesses and their owners with business, lending, real estate, taxation and estate planning issues. He represents banks and mortgage lenders in real estate and commercial lending matters. His clients include Pinnacle Bank in Nashville. His real estate development practice includes representation of a real estate investment entity that partnered with Hines Interests, one of the world’s leading developers, in a 12-year transformation of 1,050 acres of Williamson County farmland into Cool Springs, one of the premier mixed-use developments in the Southeast, containing 1,200 apartment units, 575 homes, 2.3 million square feet of retail space and 3 million square feet of office space. He dealt regularly with city planning commissions; utility districts; surveyors; engineers; title companies; lenders; contractors; real estate brokers; and attorneys across the country for buyers and their lenders. Among his other practice areas are specialized litigation, in the real estate, tax, estate and business areas. He combines his real estate and taxation knowledge by being a speaker at seminars on like-kind exchanges. He also is a frequent speaker at seminars on real estate law and on title insurance. While his practice areas are diverse, a legal problem often involves more than one of them, and he brings a broad legal and business perspective to bear on that problem. In his spare time, Ken is a nationally ranked senior tennis player. He was chief manager of a development company that converted the firm’s former offices in an historic downtown Nashville building into residential lofts. His civic activities include serving as the chair of the board of directors of the Brentwood Cool Springs Chamber of Commerce. His wife, Susie Campbell, is an insurance agent. Lee Ann is a partner in Campbell Law Solutions. A native of Nashville, Lee Ann graduated from The Harpeth Hall School and then attended Auburn University, where she received a Bachelor of Science degree in Business Administration in 1995. She received a Juris Doctor degree from Pepperdine University School of Law and concurrently earned a Certificate in Dispute Resolution from the Straus Institute in 2004. Lee Ann studied international law in Europe, including international commercial arbitration, European Union law, and international entertainment and copyright law. She lived in London and worked there for the largest alternative dispute resolution facilitator in the United Kingdom. 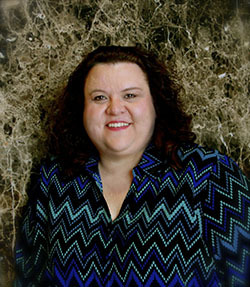 Prior to studying law, Lee Ann was employed by a Nashville health care management company and traveled throughout the Southeast for network development. She subsequently worked for an Atlanta law firm specializing in real estate transactions for residential and commercial properties throughout the greater Atlanta area. There she managed the preparation of all residential closings, in addition to marketing the firm and its title company. While attending law school in Los Angeles, Lee Ann served as a legal research assistant for a Pepperdine law professor and was a member of the Sports and Entertainment Law Society and the Beverly Hills Bar Association. Lee Ann has been practicing law for eight years. She assists clients with business and real estate matters, contracts, commercial lending transactions, taxation and estate planning. Lee Ann has also handled litigation in business related areas, including matters in chancery, circuit and probate courts in Tennessee. The subject matters of these cases include real estate contract disputes, boundary line disputes, non-compete contract disputes, title insurance claims, conservatorships and will contests. Lee Ann is admitted to practice in Tennessee. 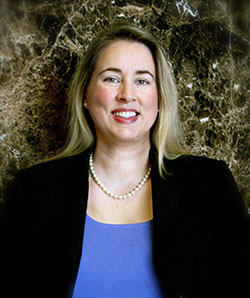 She is a member of the American, Tennessee and Nashville bar associations. Lee Ann is active in the Williamson County Chamber of Commerce and has served on the steering committee for its Women in Business group. She and her husband, Jeremy Cox, live in Brentwood. Kim has been a legal assistant to Kenneth L. Campbell for over 24 years working closely with him in all aspects of his law practice, including commercial and residential real estate transactions; like-kind exchanges; individual, corporate and fiduciary income tax return preparation; corporate matters, including articles of organization, charters, by-laws, minutes, operating agreements, stockholder agreements, stock purchase agreements, promissory notes, partnership agreements, stock certificates, non-solicitation agreements and corporate lease agreements; and estate planning and probate, including wills, living wills, trust agreements and powers of attorney for business and healthcare. Kim also served as the building manager and leasing agent for the historic Spring Court Building that once was home to the law firm. Kim is the process manager for Realty Solutions Title, Inc., where she oversees the daily operations of the title company, including processing title requests, title searches, preparation of title commitments and subsequent title policies, preparation of closing packages, conducting bank and closing transactions for residential and commercial real estate loans and acquisitions. Kim resides in Smyrna with her husband, Greg Wayman, and their daughter, Ginny. Greg is a registered nurse with the Tennessee Valley Healthcare Services, Nashville Campus. Kim, Greg and Ginny are members of Highland Heights church of Christ. In her spare time Kim enjoys traveling, reading and photography.